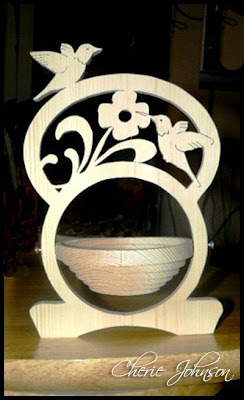 Cherie Johnson sent me this picture of the Humming Bird collapsible basket pattern I posted a while back. This is the first basket Cherie has made. Looks like it turned out great. Thanks Cherie for sharing the project. 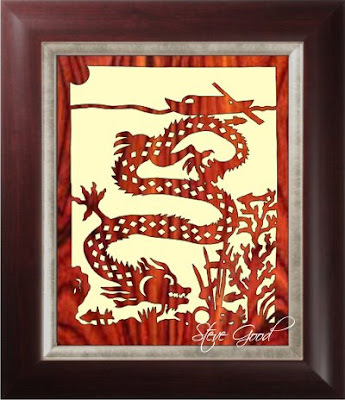 This dragon pattern is easy to cut and looks nice framed behind glass. The pattern is 8" x 10" so you can find a manufactured frame at the store. You can use 1/4" plywood or hard wood. Back the finished project with colored paper or felt.